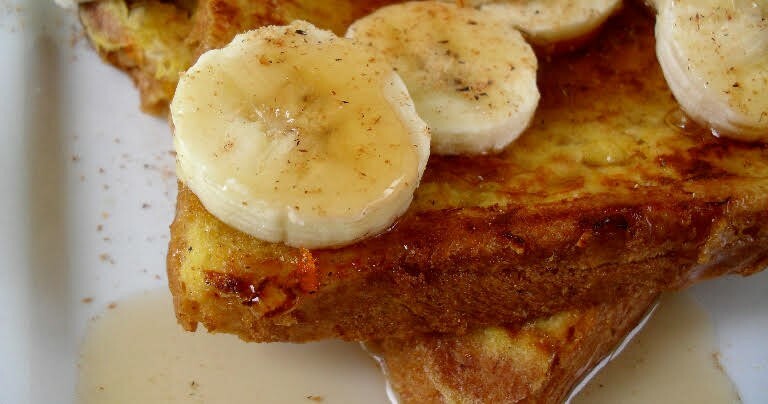 This banana French toast is delicious just as it is. But, if you want to take it up a notch and just change it a bit for fun, fry the bananas with a little cinnamon sugar. Not a deep fry, just a little sear on the outside. It warms them up and makes them so delicious. It is almost like the topping on a bananas foster. You are going to love how this turns out, I promise! This French toast will be easy to assemble and save you time in the morning since you can put it together at any point the night before and you will love what it tastes like in the morning! the remaining banana-brown sugar mixture over the top of the French toast. Cover and refrigerate overnight. Prepare the topping. * Combine brown sugar, flour, cinnamon, and salt. Add butter, and using a spoon, work the butter into the dry ingredients until the butter is evenly distributed and the mixture resembles wet, clumpy sand. Cover and refrigerate until you are ready to bake the French toast. Quick Tip: Store in an airtight container in the fridge and reheat with foil over the dish. Thanks again to Celebrating Sweets for this amazing recipe.